If you applied by the ‘Regular Action’ deadline in January, the colleges will inform you whether you have been accepted at the end of March. Unlike British universities, acceptance at American colleges is not conditional on achieving particular grades at A Level. This will take some of the pressure off during the weeks before you take your A Levels if you are offered a place. But you must carry on working and achieve grades close to those predicted. If you do extremely badly for no good reason, the offers you have received may be withdrawn. If you are offered a place at Harvard, attend the ‘Visitas’ weekend being held on 21-23 April 2018. It will give you a taste of life at Harvard and is a great opportunity to meet some of your future classmates. If you are taking the SAT or ACT next term you should already have booked your place at one of the Test Centres and your preparations should be well advanced. ACT test dates: 14 April and 9 June 2018. SAT test dates: 5 May and 2 June 2018. If taking the SAT, be sure to take advantage of the free online practice toolsprovided by the Khan Academy. But the most important task of all is to get good grades in all of the internal mock exams you are taking this summer. Since offers of admission to US colleges are not conditional on A Level grades (see Year 13 above), any exams you sit this year will take on greater significance than they would have done otherwise. To find out whether you are good enough, take the free online tests in your strongest subject(s), and if you get a high score, you should consider taking the subject test(s) early (on 5 May or 2 June 2018) as it spreads the load and you will have less to do next year. 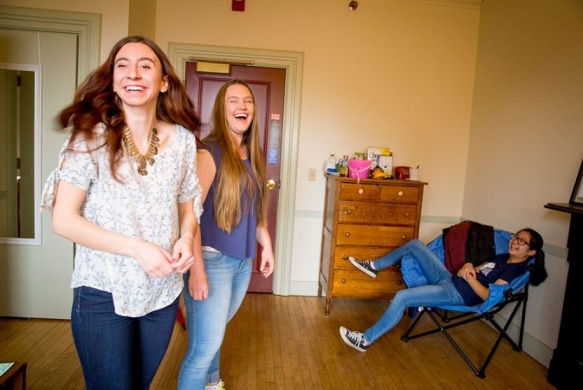 If you are lucky enough to be admitted to Harvard College starting next autumn, you will spend your Freshman year living in one of the Harvard Yard dorms – right in the hub of the university. College roommates often form very special friendships which last the rest of their lives. 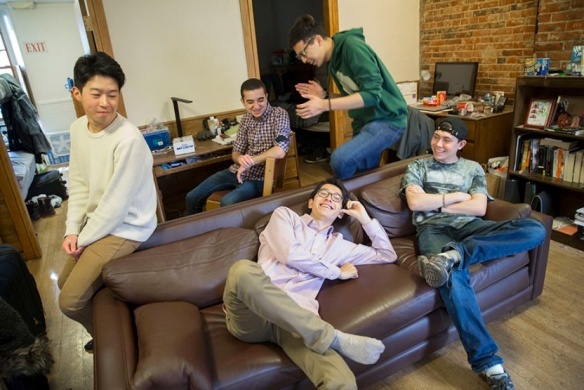 In this article from the Harvard Gazette, several groups of roommates share their stories.